At the start of the week, Oxfam released its annual report about the growing divide: this year, just eight men own the same wealth as half the world . It’s hard to say we didn’t see it coming: as far back as 2009 , researchers were already drawing attention to the link between inequality and a whole host of other ills. And according to Christine Lagarde, she also attempted to ring the alarm bells – to no avail. 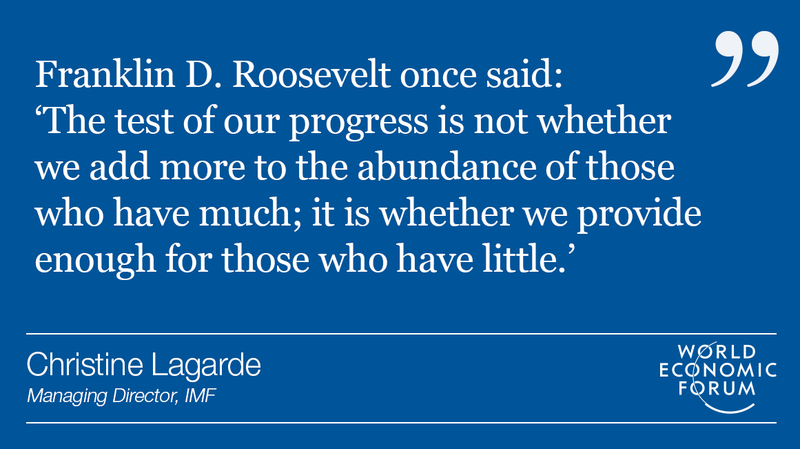 At the time she said that a whole host of IMF research indicated that unequal growth could never be sustainable. Earlier this week the latest IMF World Economic Outlook reached the same conclusions .